Benefit from the convenience, security and increased productivity this adjustable shoulder strap provides. Enjoy increased ergonomic productivity and availability with your Toughpad always within easy reach. The versatile, lightweight design can be quickly clipped to, or removed from your Toughpad with ease with this ergonomic 56" adjustable shoulder strap kit. 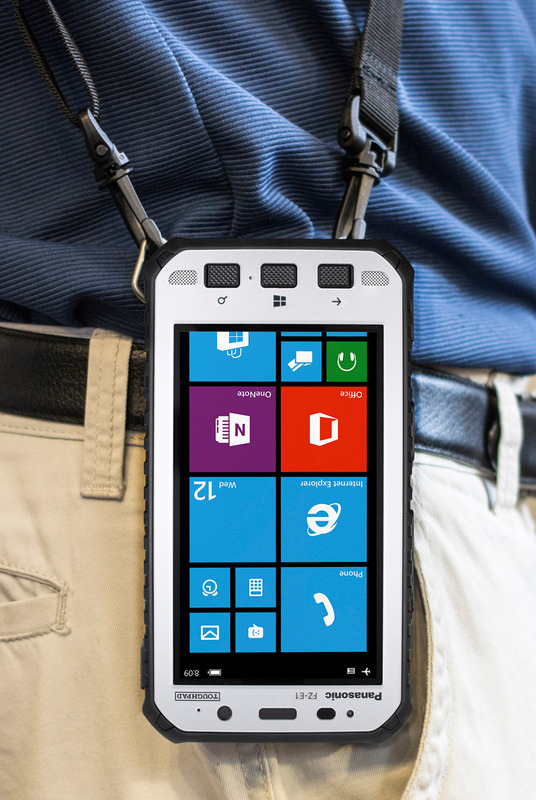 The size of the Toughmate FZ-X1/E1 shoulder strap kit compliments the compact form factor of the Toughpad. The Toughmate FZ-X1/E1 shoulder strap kit includes shoulder strap and attachment hardware (FZ-WCRX112).